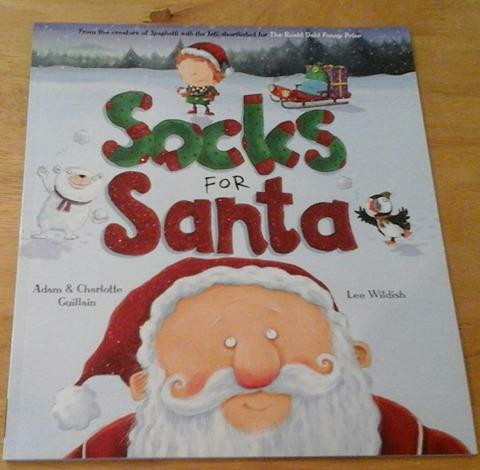 ‘Socks For Santa’ by Adam & Charlotte Guillain is the fifth book in the ‘George’s Amazing Adventure’ series and this time we are treated to a lovely Christmas tale. We follow George as he embarks on an expedition to the North Pole as he has decided to find Santa and give him some presents for a change. 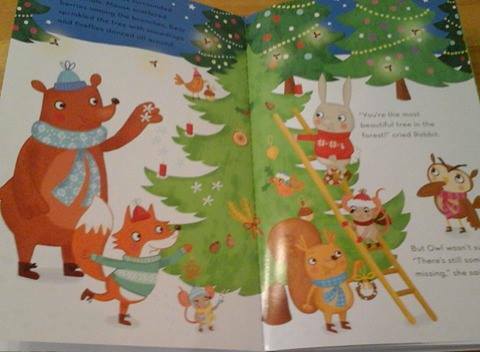 Lee Wildish creates this truly magical festive world with incredibly detailed and stunning illustrations which will delight children and keep them engrossed in this fantastic story. 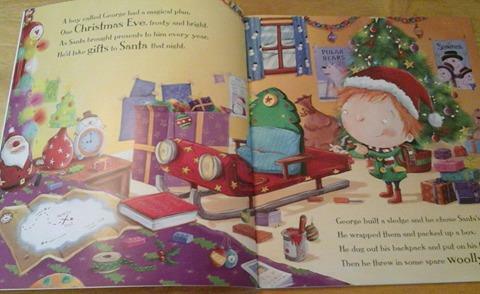 George builds himself a sleigh and packs up the presents (and some spare woolly sock just in case) and sets off to find Santa. He gets distracted on his way by polar bears, snowball fights and making snow angels but after hitching a ride on a polar bear he soon arrives at the North Pole. Alas when he arrives at Santa’s Workshop he finds all sorts of mayhem taking place. 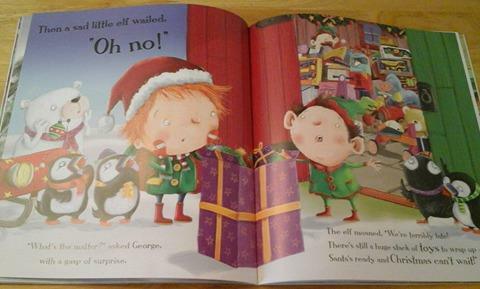 The elves haven’t finished wrapping the presents, Rudolph has got a cold and his nose won’t glow so it’s up to George to help them get organised and save Christmas. After George has helped wrap presents and found a torch for Rudolph he finally gets to meet Santa. Too late he realises that all of his presents have gone and he decides he should go home and is filled with despair. Aaarrgghh but then more disaster strikes as Santa discovers he has a holey sock, how can he go on a long journey to deliver all the presents surely his foot will freeze. Then George has a brilliant idea he knows just what the perfect present for Santa will be after all and he manages to save the day once again. This is a perfect book for reading aloud the rhyme whisks you along on the adventure whilst the sublime illustrations draw you into this festive, sparkly and wintery world. It’s an entertaining and funny read that takes you on a truly magical adventure. 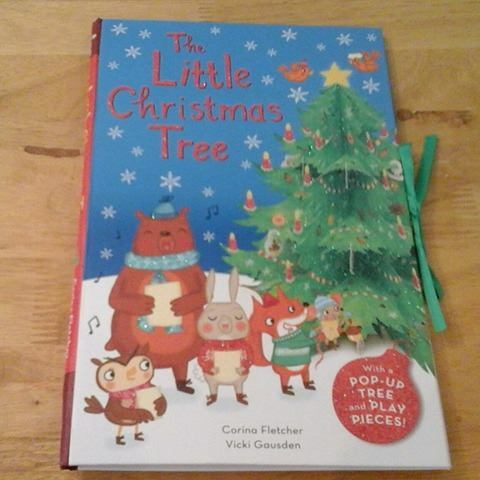 A big thank you to Egmont for sending me this lovely book to review it will be a fantastic addition to my Christmas storytime collection. This entry was posted in Uncategorized on November 29, 2015 by bookloverjo. 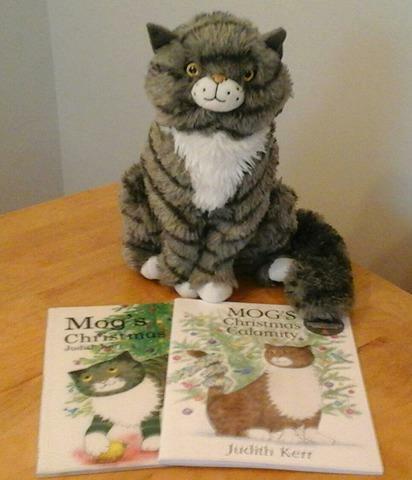 When I heard Mog was coming back it was like all my Christmas wishes were coming true. I absolutely adore Mog as do both my girls. 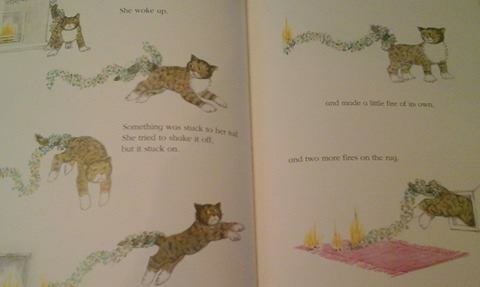 Sharing Mog stories has been a huge part of their growing up and I have lots of special memories of storytimes laughing at the mischief that she was managing to find herself in yet again. 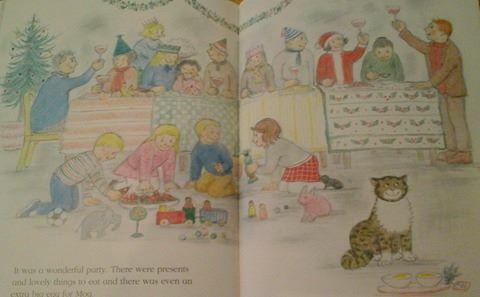 It was such a delight to sit down and share the new book ‘Mog’s Christmas Calamity’ which Judith Kerr has created especially to support the work of Save the Children. It’s Christmas Eve and the Thomas family is fast asleep including Mog. She is having an incredibly vivid dream about her favourite food eggs which are up in the sky. 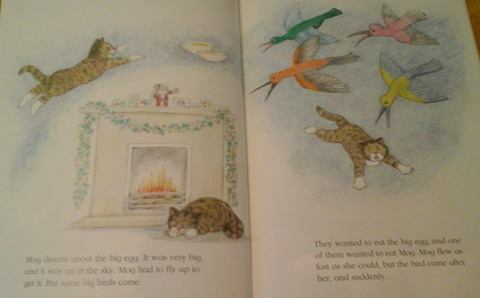 She leaps to catch the egg but is attacked by birds which wakes her up in a fright and in true Mog fashion she unknowingly gets caught up in the disaster which is about to unfold. Mog manages to get tinsel tangled in her tail and when she tries to shake it off she sets the house on fire. Not realising what she has done she leaps out the cat flap desperately trying to run away from this annoyance not realising that it is caught up in her tail . Just when she thinks it can’t get worse Mog hears this horrible noise and runs back home not realising it’s a fire engine. The fireman think that she is leading them to the fire and when the Thomas family are rescued Mog is mistakenly hailed as a hero. 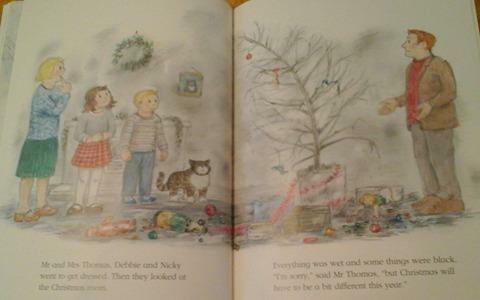 The initial joy at realising everyone has escaped safely turns into dismay when they realise that their Christmas has been ruined and all of the Thomas family are feeling very sad, especially Mog. But wait what can Nicky spot through the window? All of their neighbours are coming to help them clear up the mess and to share their Christmas with the Thomas family. This book beautifully sums up the importance of sharing at Christmas and helping those who are in need. It’s a truly heart warming story and I was totally entranced with the gorgeous illustrations which I have grown up with reading. It is a perfect addition to our Christmas picture book collection and one which we will enjoy sharing for many years to come. 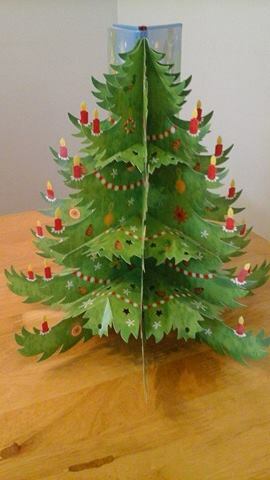 ‘The LIttle Christmas Tree’ is one of the most beautiful Christmas books I have ever seen , a book that turns into a Christmas tree has got to be a true festive delight. 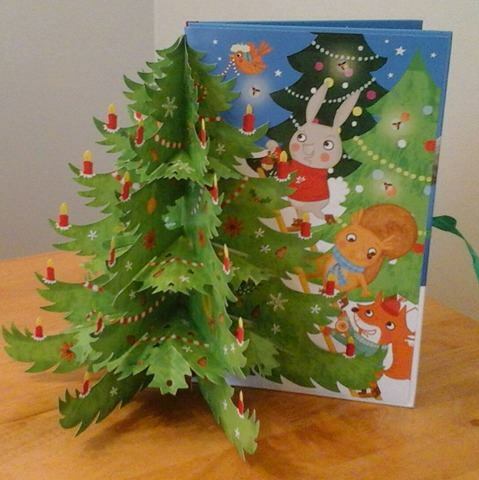 This gorgeous interactive pop-up has been created by Corina Fletcher and is a true interactive experience for children it comes with press-out decorations so that they can decorate the tree themselves. 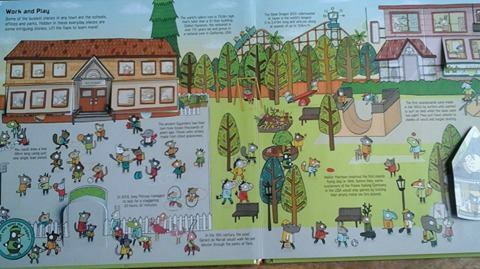 It also has play pieces, including characters from the story so that children can re-enact the story something which both my girls really enjoy doing. This heart-warming story is beautifully illustrated and told by Vicki Gausden and Rachel Elliot. It’s Christmas Eve and the village children have decorated all the trees in Emerald Wood with shiny baubles and little lanterns. But one tree has been forgotten! 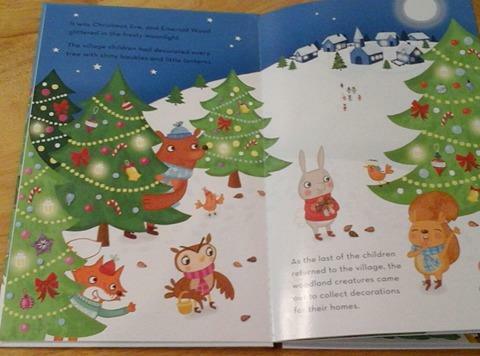 The woodland animals start to gather up decorations for their homes and spot the tree looking sad and bare so they decide to share their pine cones, berries and snowdrops to create the most beautiful tree in the forest. Then who should appear but Father Christmas! He has some very special presents for all the animals in the forest for remembering that everyone deserves a truly magical Christmas. 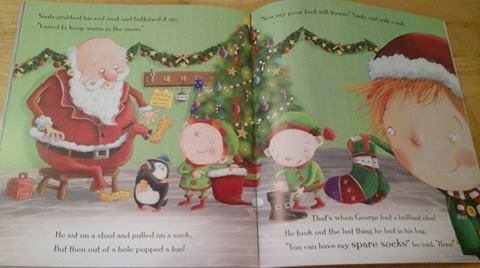 This book would make a perfect Christmas gift the cover is so sparkly and glittery the child is immediately enchanted, The illustrations are stunning and vivid and will capture a child’s imagination. I love that this story acts as a reminder to children about the importance of sharing and being kind to others. 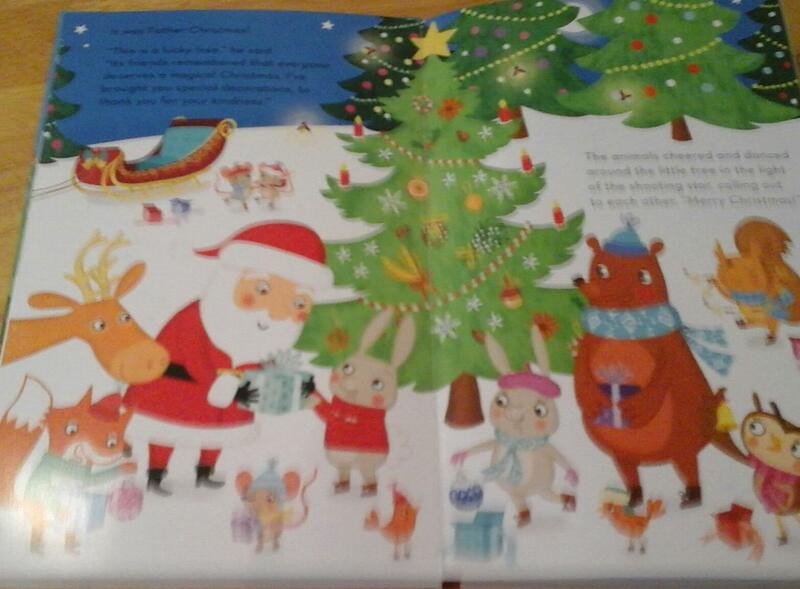 A big thank you to Egmont for sending me this fantastic book to review it has been a true festive highlight. 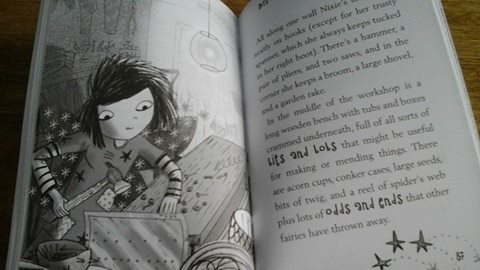 ‘Nixie Wonky Winter Wonderland’ by Cas Lester with illustrations by Ali Pye is a glorious wintery read. 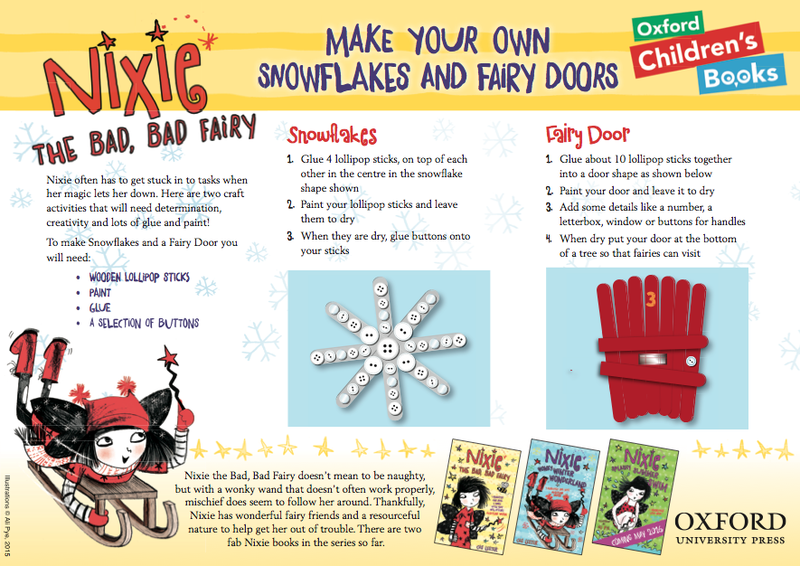 It is the second in the series about Nixie the bad, bad fairy. I really love highly illustrated books and this is no exception you cannot fail to be enchanted by the endearingly naughty Nixie who just wants to have fun. With her clompy boots, holey tights and a wonky wand you know that Nixie is not going to be like any other fairy you will have met before. 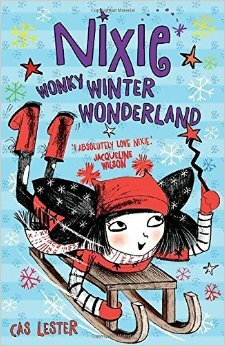 In ‘Wonky Winter Wonderland’ Nixie wakes up one morning to find she is surrounded by snow. The Winter Fairies have been busy scattering frost on houses, hanging icicles on trees and covering the whole of Fairyland in a deep blanket of snow. 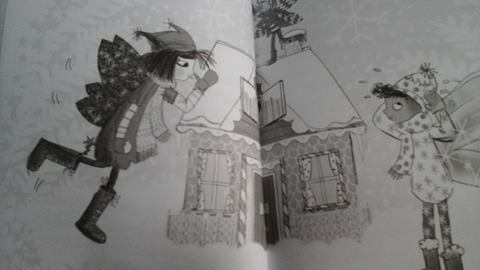 It is the day of the Midwinter Midnight Feast and Nixie must collect holly berries for the Fairy Godmother but all she can think of is sledging, skating and most importantly and snowball fights. She knows that everyone one is busy getting ready for the party but surely nobody can resist a SNOWBALL BATTLE. Throughout the story we keep finding Nixie getting herself into lots of trouble partly due to her wonky wand but a lot to do with her mischievous personality. She does try hard not to be tempted but sometimes these things do happen by accident (ally-on-purpose) and her least favourite fairy Adorabella always seems to be there to witness or be subjected to her mishaps. Known as ‘Adora-smella’ she is annoyingly perfect and is constantly trying to get Nixie into trouble with the Fairy Godmother Tabitha Quicksilver. With Nixie forever getting herself into scrapes nobody trust her to do the right thing. But when she finds out her friend Fidget is in trouble she is determined to prove that she can be a useful fairy even is she’s not sure just how she will be able to do it! Ali Pye captures the spirit of Nixie and this winter wonderland fantastically in her sublime illustrations, which truly are a joy to look at. 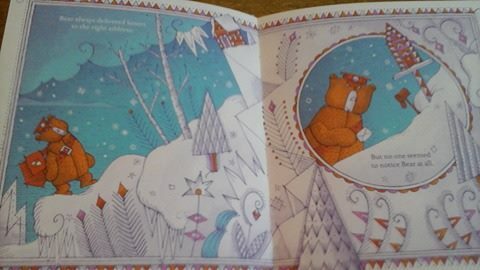 The book is a total delight to read with each page covered in magic and snowflakes which gives the book a real wintery feel. It makes you want to curl up on the sofa and read it with a steaming mug of hot chocolate covered in marshmallows. It is a delightful story full of fun, mischief and a sense of humour which will massively appeal to children. 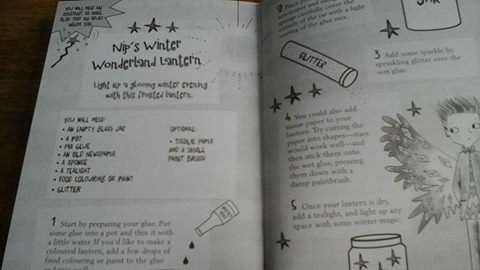 At the end of the book it also includes cooking and craft activities perfect to do over the winter holidays From snow covered gingerbread trees to swirly snowstorms in a bottle I can imagine my girls loving making these. Thank you to Oxford University Press for sending me this book to review I look forward to more mischief from Nixie in ‘Splashy, Summer, Swim’ due for release next summer. This entry was posted in Uncategorized on November 24, 2015 by bookloverjo. 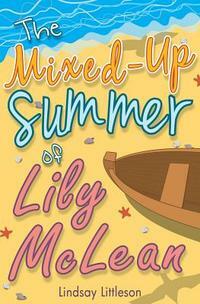 ‘The Mixed-Up Summer Of Lily McLean’ is the debut novel from Linday Littleson. It tells the tale of Lily who is coming to the end of her final year at Primary School and is getting ready for her summer of freedom. In some ways she feels she is going to have the best summer ever having a holiday away from her dysfunctional family but this is tainted by the fact she keeps hearing a voice. Lily is trying desperately to work out just what is going on. Is she being haunted or is she going crazy, all she knows for sure is that it’s driving her to distraction. The story opens with a feeling of chaos as Lily and her family have been forced to move to a smaller house to escape an alcoholic step-father. Lily is struggling to maintain her sanity in a house with a hormonal and volatile teenager Jenna, her two younger brothers Bronx and Hudson and her baby sister Summer. She is forced to seek sanctuary in the cupboard under the stairs but even there she can’t hide from this voice who appears to be warning her. Having the chance to get away from her family and spend a week away with her Gran seems like bliss but if only Lily could work out who this voice is and what it wants with her she might just be able to enjoy herself. While I was compelled to read this book quickly to find the truth behind the voice I also enjoyed the fact that the book tackles lots of different issues that children may be facing. Despite Lily not fitting in with the popular crowd she still had strong friendships which offers reassurance to those who may be feel the same. The story has lots of humorous moments like Lily’s Mum giving her ‘the talk’ on the train in front of everyone, which I’m sure anyone who reads it will totally sympathise with her. This books is a real mix of funny, sad and poignant moments and to me it feels real and genuine which enables the reader to really empathise with Lily. It captures perfectly that time of innocence where children can still enjoy picnics and bike rides without having succumbed to too many pressures of growing up. You can feel that Lily is on the verge of being confronted by the inevitable changes but for now she can enjoy this time in her life. This is definitely an enjoyable read and I can see it having real appeal in my school library. I would definitely recommend it as the ideal book for children facing this transition from primary to secondary school. A big thank you to Lindsay Littleson for sending me a copy to review. 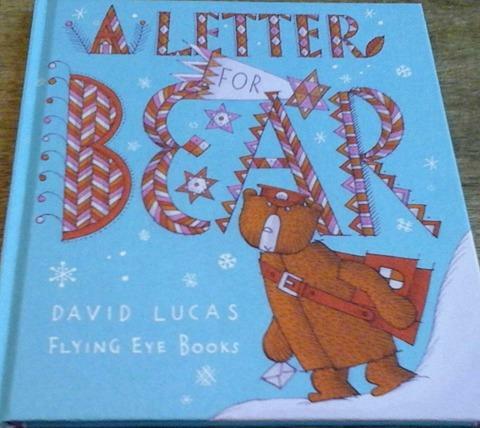 ‘A Letter For Bear’ by David Lucas is another gem from Flying Eye Books. It is the perfect tale to get you in the mood for the festive season. From the moment you open the book you are transported to a winter wonderland of deep snow, icy blue skies and falling snowflakes. It makes you want to wrap yourself up in an blanket and snuggle with your loved ones to enjoy this beautiful tale. Bear is the postman who delivers the mail every day but lives a lonely existence. Nobody seems to notice him and he returns at the end of each day to his cave wondering what it would be like to receive an actual letter himself. However one fateful day a gust of wind blows all of his letters into the air and all the addresses get smudged meaning Bear has to knock on all the doors so he can deliver the mail. He soon meets all the creatures who live there but seeing all the families together makes Bear feel even more lonely. He trudges back to his empty cave feeling sadder than ever before. Suddenly Bear has a really good idea, he should have a Christmas party and invite everyone then perhaps he won’t feel so lonely. 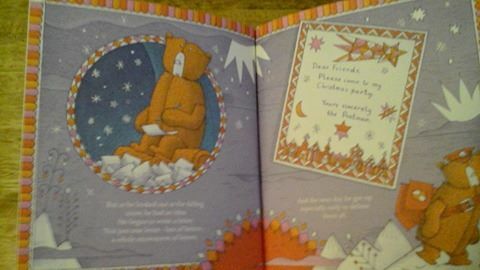 After writing a ‘snowstorm’ of letters Bear starts to plan his party. He decorates his cave and sits and waits patiently hoping that someone will come along. 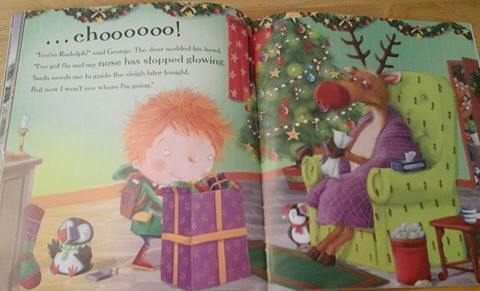 This is such a heart warming festive tale which is beautifully told and magically illustrated. It is a gentle reminder to children when you are struggling to get them to write their Christmas cards and thank you letters, the sheer joy that you can get from opening a letter. 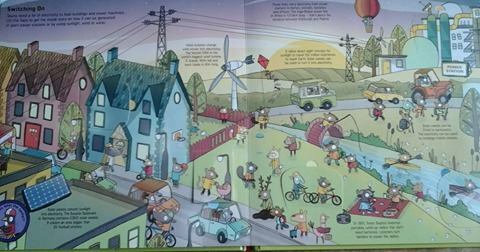 I love the attention to details on every page and there is so much for a child to look at and enjoy. 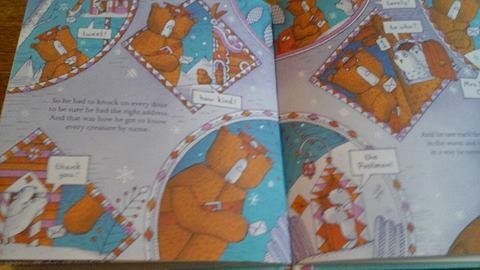 The colours throughout the tale manage to perfectly capture the mood from icy blue at the beginning, to gradually warming up with pinks, reds and oranges as Bear opens himself up to the possibility of friendship. 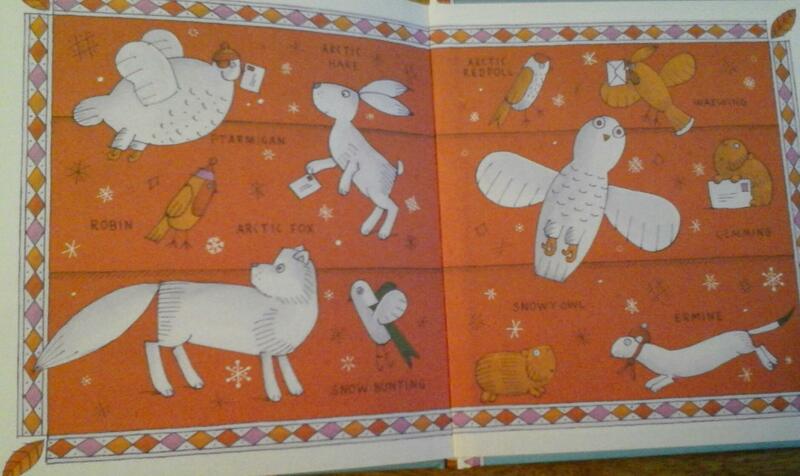 One of my favourite pages is in the endpapers which highlights all the different wintery creatures in the forest who Bear meets on his travels. It is details like this which make this book a thing of beauty which you will want to own. A big thank you to Flying Eye Books for sending me a copy of this gorgeous book to review. This entry was posted in Uncategorized on November 22, 2015 by bookloverjo. I am so excited to share with you two gorgeous non-fiction books which are guaranteed to keep children entertained and informed. 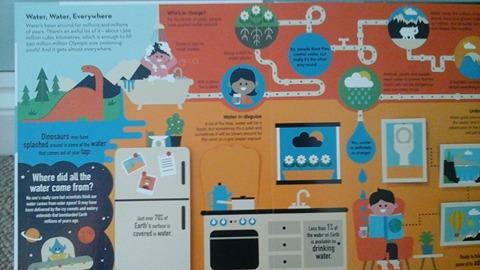 ‘ The Adventures of Water’ and ‘100 Facts Around Town’ both explore facts in an engaging and interactive way. 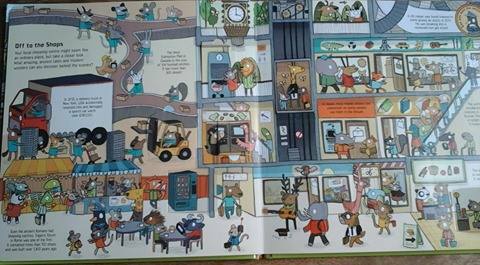 They allow the reader to learn lots of interesting information whilst exploring these books and get lost in their glorious illustrations. ‘The Adventures of Water’ by Malcom Rose and Sean Sims takes you on a journey of discovery about where water comes from and why we need it. 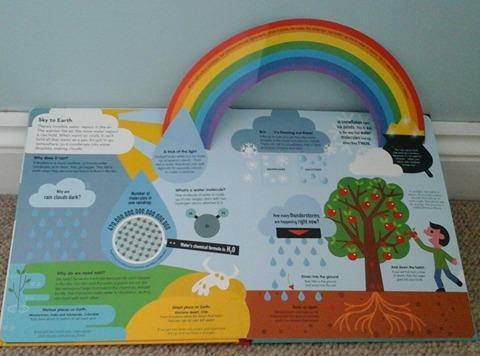 Helping a child to drip, drop and splash their way through the water cycle they will be desperate to share with you all these fun facts. When my daughters read it there were lots of conversations that started with, ‘Mummy did you know……’. It opens with the astounding fact that there is enough water in the world to fill 550 million million Olympic-size swimming pools which truly makes your mind boggle. 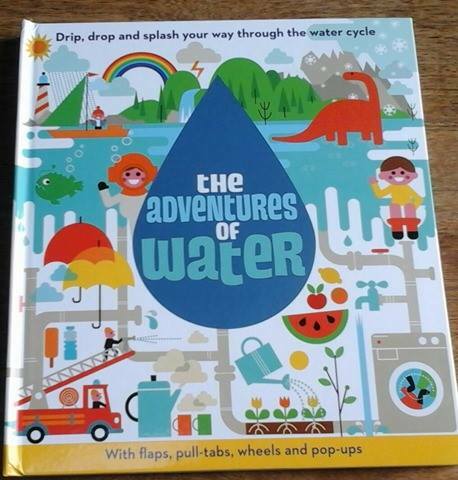 The impact of water in our lives is explained on each page and the interactive format of allowing the child to open flaps, pull tabs, turn wheels and open pop-ups puts them at the heart of the learning offers a real hands on approach. 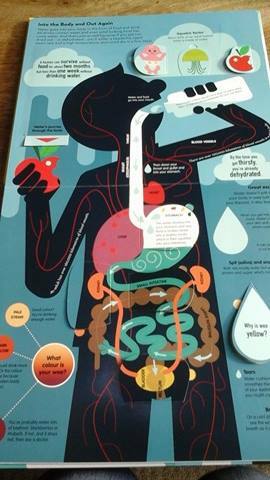 We see how water goes ‘into the body and out again’. My girls found this page hilarious and gruesome at the same time and it was the starting point for lots of interesting conversations in our house. 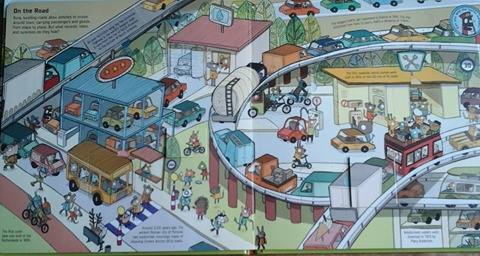 There was a real sense of wow and enjoyment when we shared this book from the sublime pop-ups which are beautifully crafted, to the real wealth of information we learned. It offers a really fascinating insight into the world of water presented in a truly stunning format. 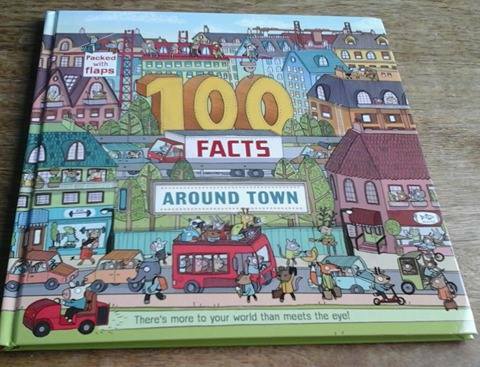 ‘100 Facts Around Town’ by Clive Gifford and Brendan Kearney is the first in a new series that will make children see their world in a different way. With pages devoted to different areas of urban life you will find lots of fascinating, funny and downright bizarre behind-the scenes facts. there are 6 million skeletons buried in tunnels beneath the city of Paris? Creepy! the most people to have ridden a motorbike at one time is 54? Impressive! the world’s fastest lift travels 80 floors in just 37 seconds? Stomach-churning! As you pour over the incredibly detailed and vibrant illustrations you can open the flaps to discover hidden histories, gob-smacking records and inspiring inventions. Each of the scenes is full of day to day life of people scurrying here and there which provides endless opportunities for discussion. 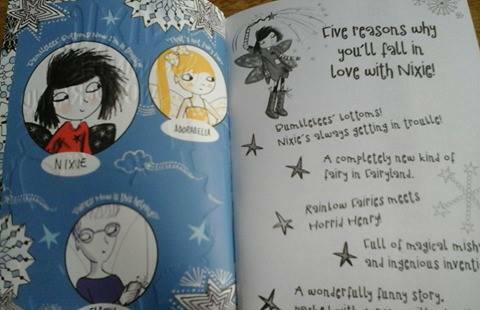 There is also a ‘can you spo’t feature on every page which my girls loved. They have a slight obsession for finding things hidden in books and this just made the whole experience more enjoyable. It is a brilliant tool for unlocking children’s imaginations so they can take a look at their own surroundings to try and find out what hidden secrets or weird and wonderful things are happening all around them every day. The next book in the series ‘100 Facts on Holiday’ is due to be published in Summer 2016 which is bound to keep children amused over the long summer holidays. A big thank you to Egmont Publishing for sending me these gorgeous fact books from Red Shed to review they have provided hours of interaction and enjoyment for both my girls.